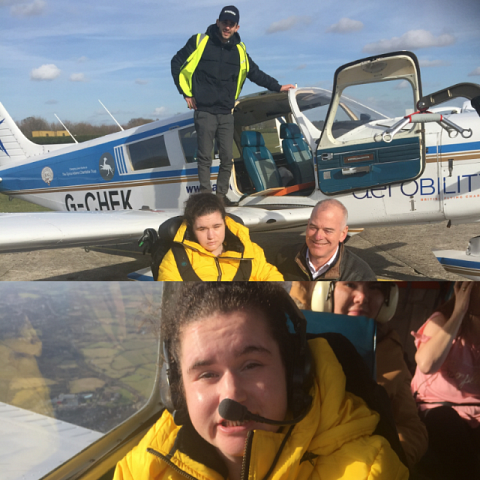 Many thanks to the team at Aerobility for making Sarah’s request come true recently. Having never flown before she wanted to experience life in the air. Sarah’s family said “She loved it. The pilot and crew were great and she even got to fly the plane. 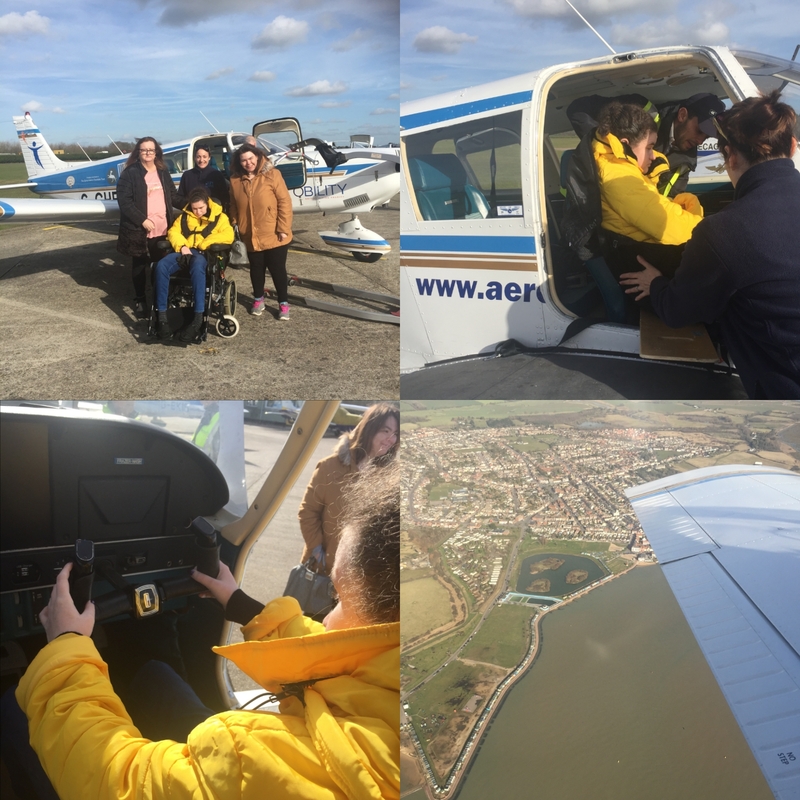 We all want to do it again!” And here she is flying over Brightlingsea and the Essex coast.